HP Pavilion dm4-3070ca dm4-3090se dm4-3013cl dm4-3050us. Cpu Cooling Fan. Defective products can be changed during the warranty. P/N:669935-001 KSB05105HA. 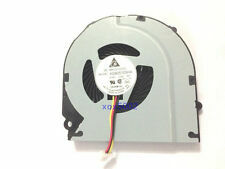 New CPU Cooling Fan for HP Pavilion DM4-3000 Series. Laptop Keyboard. Laptop Fan. 1 x CPU Fan. Laptop Hard Drive Cover Caddy. new arrival. Power connection: 4pins. Cpu Cooling Fan. 1:Puerto Rico. The military region. remote locations. Item Condition : Original New. For HP Pavilion dm4-3056nr dm4-3055dx dm4-3052nr Series Warranty 180 Days Type Replacement Parts Fan Type Laptop CPU Fan Package Include 1x Fan & 1 Pcs Thermal grease Note1 Please check the description & picture before Buying! Brand Unbranded MPN 669934-001 UPC Does not apply. 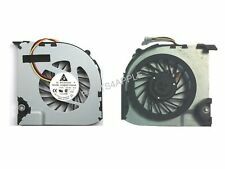 HP Pavilion DM4-3XXX dm4-3013cl dm4-3050us dm4-3055dx CPU Fan. 1：Original New CPU FAN. If you have any problems. The HP Pavilion DM4-3000 Cooling Heatsink and Fan 669935-001 KSB05105HA has been graded A. This item is 100% tested, functional, and in very good condition. Fans - Cooling Fans. Robot Vacuum Parts. Used Robot Vacuums. HP Pavilion DM4-3000 s eries laptop. CPU cooling fan. 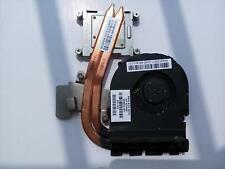 This cooling fan is for HP heat sink unit with part no. 669934-001 and 669935-001. Original HP spare part. This is original, not refurbished or repaired. 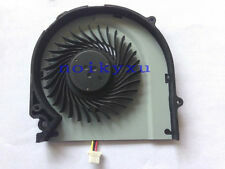 HP 608229-001 Heatsink & Fan Module DM4 Series. 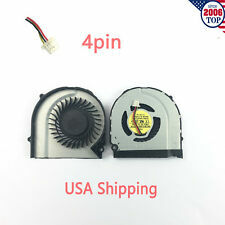 For HP Pavilion DM4 DM4T DM4-3000 DM4-3024TX Series Warranty 180 Days Type Replacement Parts Fan Type Laptop CPU Fan Package Include 1x Fan & 1 Pcs Thermal grease Note1 Please check the description & picture before Buying! Brand Unbranded MPN 669934-001 UPC Does not apply. Cpu Cooling Fan. 1:Puerto Rico. The military region. remote locations. Notice: Only Fit Discrete Graphics Card Laptop. You will receive what you see. Pavilion DM4-3000TX, Pavilion DM4-3001TX, Pavilion DM4-3013CL. Pavilion DM4-3024TX, Pavilion DM4-3025TX, Pavilion DM4-3028TX. Heatsink and Fan Details. HP OEM Original Part. Part taken from a good, working HP Laptop. Tested and Verified working. Video Chip: CPU Only. Item Condition. Grade A: Like New with very few scratches or wear marks. AND WE DONT WANT TO GET IN PROBLEMS FOR PEOPLE THAT OPEN CASES FOR NOTHING. Note: Image is the actual item, what you see is what you get. We are located at 338 W Highland Ave San Bernardino, CA 92405. Grade B: Used with minor signs of use (light scratches/scuffs). Yahirs Computer Parts & Repairs. Grade D: Only good for parts or repair (see notes above). New - Pull. We partner with the largest computer part wholesalers throughout the United States and provide the highest quality products available. Fully tested and working 100%. All inquires will be answered within 24 hours. We will response in 24 hours to resolve the problems. part number:for DM4-3000 669934-001. ○ If you want to choose. 4-7 working. Our picture is produced by two manufacturers. Our pictures are real. Defective products can be changed during the warranty. MODEL:KSB05105HA DC05V 0.35A -BE11. MODEL: FOR HP DM4-3000. Type:New and Original. If you are in other countries, you may choice as follow. HP Pavilion dm4-1000 dm4-1100 dm4-1200 dm4-1300 dm4t-1000 CTO dm4t-1100 CTO dm4t-1200 CTO series. HP Pavilion. For DFS531205MC0T. ▶Compatible Models. ▶ Replace Part Numbers. Make sure the model is the right one you need. All critical accessories related to the operation of the item will be included. Dalbani is a national and international distributor of high quality electronic components and parts. Serving the Electronic Industry Since 1982. All credit cards are processed with Authorize.net. Miami, FL 33166. Compatible Machine Model:hp Pavilion dm4 series laptop. Warranty: Packing:6 Months 1 pcs laptop fan. Product Type: Condition:lLaptop fan New! About Us parts4apple is located at Toronto ON, Canada.